On a personal auto policy vehicles are classified 3 ways. If you use your own personal vehicle for business use, your personal auto insurance may need to add this coverage. The endorsement is called Business Usage. 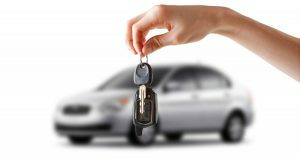 On a personal auto policy, your policy might not offer coverage while your vehicle is being used in your business. Here are some common ways to determine if your vehicle should be endorsed for business usage on your personal auto insurance policy. Does your vehicle have signage advertising your business? Do you haul job materials to and from job sites? Most contractors should be rated for business usage. Do you make frequent daily stops and different clients locations? Ex on the road sales people. Do you drive clients in your vehicle? Ex realtors showing homes. People who use their personal vehicle in their business can easily add the endorsement “Business Usage”, to their personal auto policy. In a claim an insurance company could deny a claim, and preventing this is very easy. Cost is usually very inexpensive, usually about $4 to $8 a month to add the proper coverage. Are your vehicles is titled in a corporate name, or you have employees drive your vehicle? If your vehicles are tilted to a corporation, or employees drive your vehicle a personal auto policy will not cover you. In this situation you need a commercial auto insurance policy. Commercial auto policies allow you to cover corporate vehicles, vehicles driven by employees, and offer higher coverage limits, than a personal auto policy can provide. Most personal auto policies have a liability maximum of $500,000, while commercial auto polices easily allow you to have liability limits of $1,000,000. Commercial auto policies allow for higher coverage’s than a personal auto policy. Do You Use Your Own Personal Vehicle For Business?